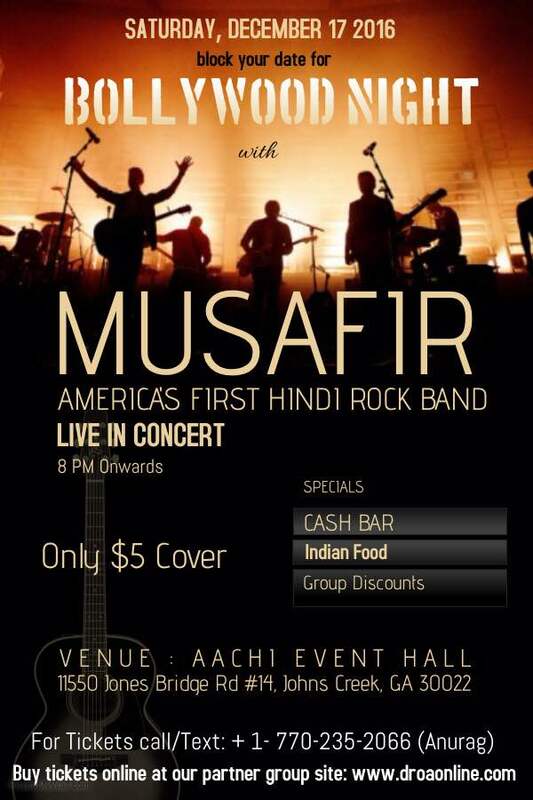 Musafir was originally formed in 2007 after Ashutosh Jain topped from Fame Gurukul of Sony Entertainment TV talent reality show and initiated a project of mixing Sufi genre with contemporary rock. The band got extended to USA when musician and singer Anurag Gupta aka Raju Bawra joined the mission in 2016. The band consists of the top level talent from Bollywood. With keyboard and guitars led by Jay and Gaurav Bhagat and rhythm section led by Priyam and Ashwin, the band is well known among its fans for its extraordinary vibe and immense on-stage energy. 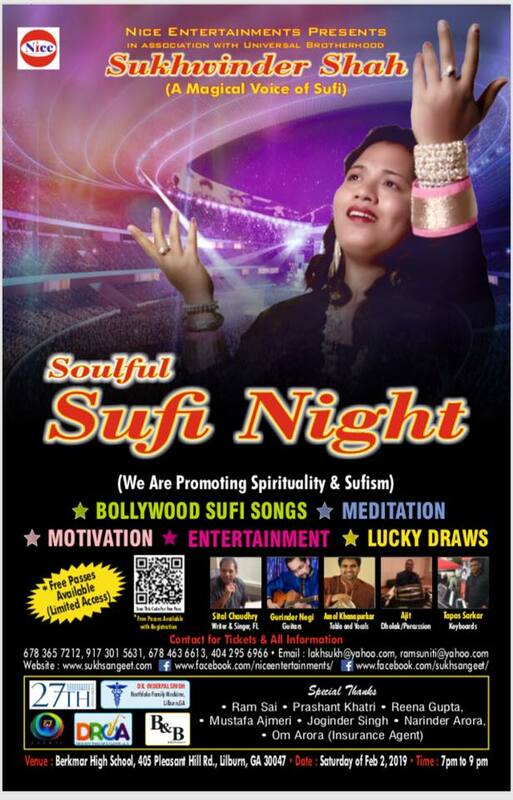 The band masters in Bollywood music and considers Sufi genre as its backbone. For more information, search for Musafir the band in Wikipedia.